My purpose for browsing the H&M website? A rug to go beside my bed. I got that - But I also came across these boots too. Insert smug face here. H&M were doing a 25% off any item so I got these for £22.49 instead of £29.99. I did anticipate the quality, surely boots this inexpensive can't look too great in person. I was wrong. 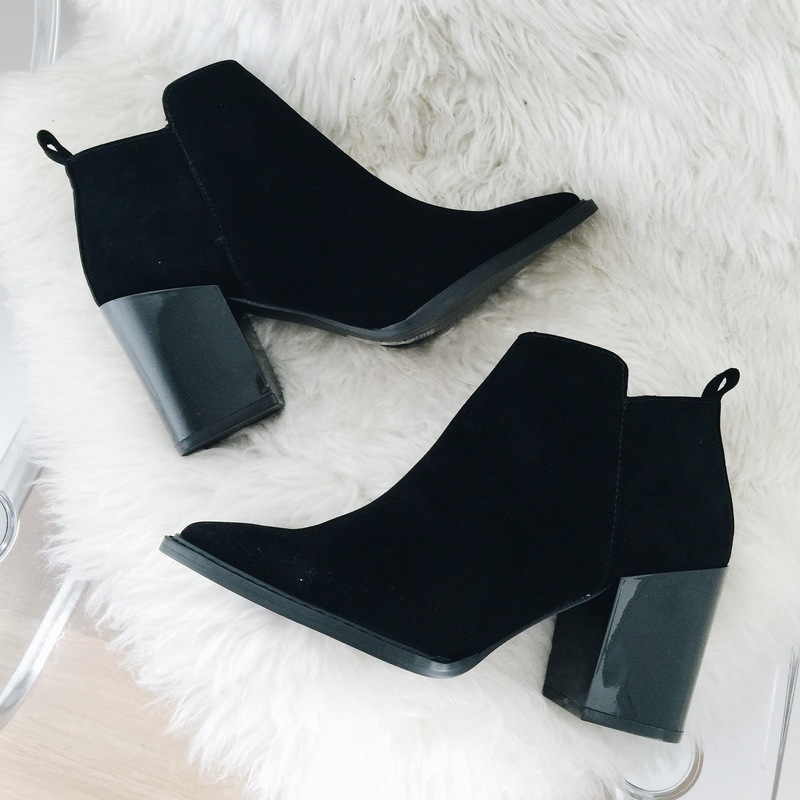 They look far more expensive than what I paid, the pointy toe elevates the boot from casual to stylish and the ankle height is just perfect. Now I'm just waiting for the chance to wear them. BUY THEM HERE. They do give off the more expensive than H&M look! Perfect looking boots. H&M always make good dupes for fashion! what a nice post here is more information for us thanks for sharing this amazing article i love this.